LibreOffice is a free and powerful office suite.You can get this program from:	https://www.libreoffice.org. 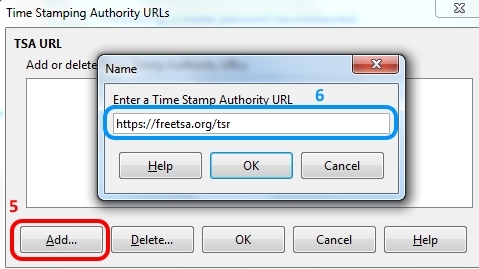 1 - Go to "Tools"
3 - Go to "Security"
4 - Click on "TSAs..."
5 - Click on "Add..."
7 - The URL https://freetsa.org/tsr should appear in the list. 8 - Press Ok to exit. 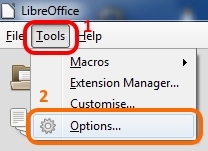 Open "LibreOffice Writer". 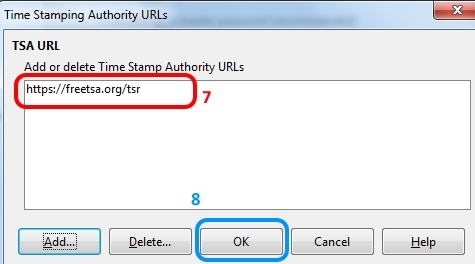 Now create and save your document or use a existing one already saved. 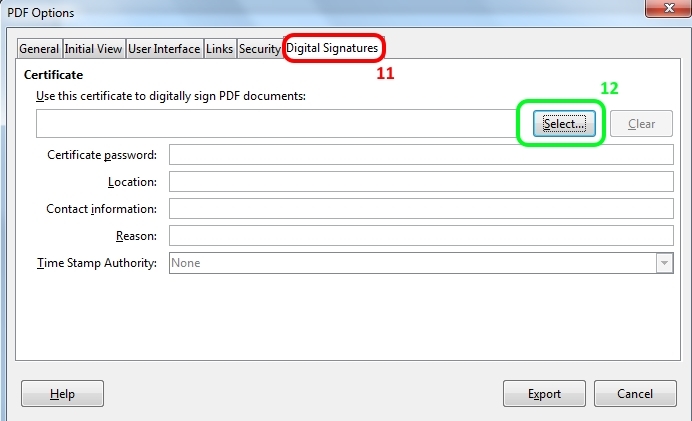 9 - Go to "File"
10 - Go to "Export as PDF ..."
11 - Select the "Digital Signature" tab and click on "Select"
12 - You may have several digital certificates here (it uses the Windows Certificate Store in Windows), select the one you want to use to digitally sign this document. 16 - This is optional information that you may enter, for example: "Germany", "mail@example.org", "I created this document"
18 - Click on "Export" to create your PDF. 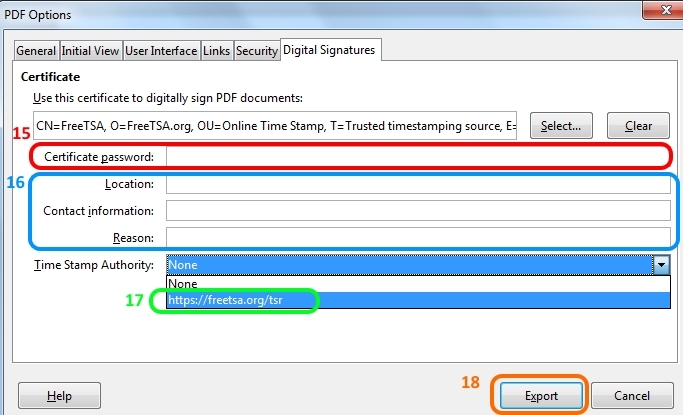 Congratulations your PDF document should now be Digitally Signed with FreeTSA Time Stamp on it. Notice:	The main limitation on OpenOffice 5 is that you can't change the hash used "SHA1" that really shouldn't be used for security related purposes like signing documents. There are external applications better for this purpose.